IRELAND’S NEW POSTCODE system will be formally launched later today. 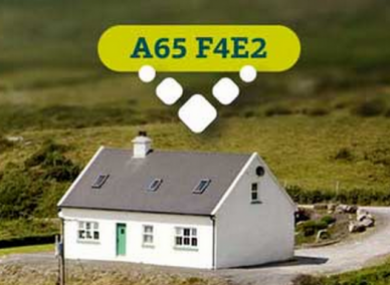 The Eircode system means every single house in the country will have its own seven-digit code. The purpose of the system is to enable people and businesses to find every address in Ireland, as more than 35% of addresses in the old system were shared with at least one other property. These codes will be sent to householders once Eircode has been officially launched today but if you want to find your code now, you can search for it on the website. According to Eircode, I actually grew up at an address in Longford. I never even knew. People can do up to 15 searches a day for addresses though the website is not intended for commercial use. After today the Eircode will be added to the end of your current address. There has been criticism of the postcode system, with Freight Transport Association of Ireland General Manager Neil McDonnell telling RTÉ’s Morning Ireland that the system is not really useful if you are trying to find a place. Though he said it will be benficial for revenue, social welfare and the health service, it will not be enough to assist the parcel and package industry. Conradh Na Gaeilge also came out against it this morning, claiming up to 50,000 placements are inaccurate or completely missing from the database being used by the system because they are in the Irish language. President Cóilín Ó Cearbhaill said it is “scandalous” that it does not recognise the Irish-speaking community. Email “Ireland's new postcode system launches today - here's what you need to know”. Feedback on “Ireland's new postcode system launches today - here's what you need to know”.